Smudged across the refrigerator, TV and every window in the house, tiny fingerprints are a housekeeping hassle. But preserved on a beautifully handcrafted silver necklace? Priceless. Artist Jackie Kaufman uses wax casts to create one-of-kind fingerprint pendants. Jackie supplies a mold-making kit so you can capture an impression of a little one’s fingerprints (big people prints work, too). Once you’ve got the print, you send the kit back to Jackie and she casts a sterling silver charm from a custom wax mold. You can choose a single fingerprint design or a double if you want to pair siblings’ prints or create a parent-child combo. Ditto for canine nose prints: If you can convince your pooch to let you capture a nose imprint, Jackie can turn it into a treasured memento. It’s a surefire way to make a great impression. I am so excited to share my jewelry with the Daily Grommet. I would love to create a unique piece of jewelry for you using your fingerprints or your dog's nose print. For those who love their pets, it doesn't get any better than this! These pieces are all one of a kind and meaningful. They are heirloom quality that your family will treasure forever. The gift for someone who has everything! Please ask me any questions about the process of creating these pieces or about the finished product. I can't wait to get started…..
What about risk of identity theft? @Flor: I will let Jackie speak to that, it's a good question to bring up! How long does it take to get the dog's nose mold taken? How do you get the dog to sit still for the process? @Gail Galusky: Gator did not sit still! You just give it a quick push and you are done. It is very simple..the mold material is completely non-toxic and only has to stay on the nose for a second. We send you 3 different molds, so you have 3 chances to get a good print. We normally get back at least 1 print that can be used. Since I do not know your dog..getting him to sit might be a challenge..but it can be done! Squeels of Joy! The Golden in the video, posing with his nose print is my Gator! He is very special to me and I absolutely LOVE his nose print keychain. It was very easy, mix the green stuff and quickly press to the nose. I will treasure it always, thank you Jackie! @Elizabeth Landgraf : He's handsome! Wow..you are so right..that is Gator..he is a star now!! These pieces are for decorative purposes only. We have never had any type of issue, and if requested we would send the molds back with your finished jewelry. Some of the pieces only a partial print is used , like shown with the hearts, it is not the full print. Did you know that Canada used to use nose prints when you registered a dog with the Canadian Kennel Club? Not sure if they still do, but either way,if they say that dog nose prints are as unique as finger prints you could use these to ...heaven forbid...positivly identify your dog if stolen. They are not as good as microchips that can be tracted back to the owner thru several chip manufactures, but should someone remove the microchip, you still have proof positive it is your dog. Can you do paw prints? How large can a paw be? And about what is the price of these pieces? That is so true..each dog nose is unique, just like a fingerprint. That is so interesting that they do this in Canada. There is an item listed for a cat paw for $174.99, you can just order this one and it can be made into a keychain or necklace. you would just let us know when you send the molds back. The paw should not be huge, I would cut it down to a manageable shape that can be used as a necklace or keychain. If I have any issues when receiving the prints back, I would contact you. Thanks! Just finished reading the article in the Feb. issue of More magazine this morning. True entreprenurial spirit! Thank you MaryJane..we were so happy to be included in the article in this months More Magazine. I was in great company. I would like to order a necklace to give to my mother for her birthday with my fingerprint, but I am unsure of what name to engrave on the back. My name, her name, or "mother"? What would you suggest? You can think about it, I do not need to know till you send back the molds. Remember it is her necklace, and think about what she would like on it. Something meaningful to her. If it is your print, you should probably use your name on the back. What a nice gift for our adopted children. This way they can keep the "print" of their birth parents close to their heart to remind them of how much they loved them. @Laura Bilotti: God Bless YOU for sharing such a 'human' thought. @Laura Bilotti: Wow. What an amazing idea. @Laura Bilotti: Without a doubt this is one of the most selfless and giving things I have ever heard. I work in a court and believe me, adoption hearings are the ONLY time someone is happy to come to court. What a wonderful gift and wonderful thoughts. Oh,I <3 this idea. Hoping it's my Valentine's Day Gift from the hubby! The moment I saw your finger print jewelry I shouted!! OMG this is PERFECT for my little boy, Taran Cole. 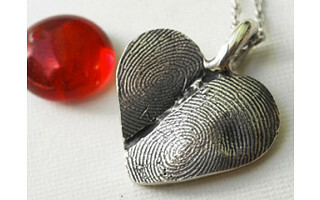 I've often wondered how I could get something like his finger prints made into a necklace or charm. This is the best idea! I love your jewelry! I'm about to become a customer for life!! Thank you Robin. I look forward to working with you! How long does it take to receive the molds, and then after you receive the molds back how long before receiving the finished product? @Cindy: The mold will be sent to you promptly from Jackie's studio in Florida. You need to allow three weeks after you've returned the mold for the finished piece to get to you. These are absolutely wonderful!! How long will the kits last? We have one little one in the family now, but there will be more. I would love to be able to create (with your help!) an add-a-charm necklace as our family grows. How can I find out the status of my finished product? I know that I should allow 3 weeks and its been just a little past that. 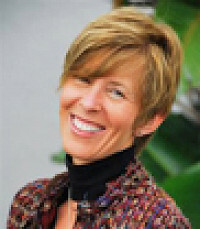 @Heather Tipton: We will find out and contact you directly. How exciting! @Brian : I have forwarded your question on to Jackie and will let you know. This would be a very special gift for her birthday. This would make a great gift for your wife. The best method is to order the piece. Right after I get the order, we send out the mold kit to you. It is very easy to use, and you will have a chance to make 3 impressions. I sell only online. Could this be used on a newborn? Or would that be too small of a fingerprint? I'd love to get one for my wife of our first child. He should be born any day now. A newborn has a very small print, and all of our pieces are made true to size. We have used infants prints to make the pieces, and they have come out cute. It is a great way to remember how small their prints once were. @Jackie Kaufman: Would that be the fingerprints? Or the whole hand? Do you have any suggestions? Or photos of the previous pieces? Thanks so much! @Michael: Just the fingerprints. They would look similar to the pieces pictured, just smaller. I am inquiring about the dog nose imprint necklace. What are the sizes of the dog nose casting mold for the small and large sizes? I have a medium mixed breed that has a narrow snout and smaller nose than a golden retreiver in the video. I have been wanting this for over a year now and am hoping to add it to my want list at the holidays. @Sahil: Welcome! We are glad that you have found us. I hope this works out for you, but that's a pretty tight turnaround for this custom necklace. You can always give the casting as the present (instead of the finished piece) allowing the recipient to be a part of the creation process. I have forwarded your request on to our customer service team who will touch base with Jackie and reach out to you directly with her response. @Kir Designs: Great ideas indeed can come to more than one artist. Best to you and your craft as well. @Geri: It is already past Jackie's cut-off for a Christmas delivery, but I will ask her about the possibility of using a plaster cast. Yes, I can use a plaster cast to make the piece. After ordering, you would have to send me the plaster cast. I would contact you and give you the mailing address. After I use it, I would send it back with the finished product. Thanks for asking. @Jackie Kaufman: Jackie, I placed my order today (#s 10032449), although I did not see a necklace option for the cat paw (I did see this option in the "Uncommon Goods" catalog). Can I have a necklace rather than a key chain? Thank you for your prompt response today! @Geri: I have forwarded your question to Jackie. I sent my plaster mold several weeks ago. Can you tell me the status of my order? I would sure appreciate it! @Geri: The anticipation must be great for such a treasured piece. You had sent in your mold after her Christmas cut-off so not this week. I saw your pet noseprint pendants and knew it was the perfect keepsake I wanted of my aging dog. However, I just discovered on Friday that he is quite ill and very near the end of his life. Would it be possible to get the mold very quickly; I will pre-pay any charges for overnight delivery. Delivery of the finished piece is not critical. @Danie: I'm so sorry to hear about your dog. There is an Express Mail option when you are placing your order to get the molds to you in the quickest manner possible. If you could also put a note to Jackie in the 'Gift Comment' field of your order, she will be able to see your situation. I have two week old puppies and would very much like to have a paw print cast as a pendant - would that be a possibility? @Kathy: You can order the cat paw keychain option but when you send back your mold, let Jackie know that you would prefer a necklace instead of a keychain. Enjoy your puppies! The return time on this jewelry is rediculous. I ordered mine early December, Here it is January 30th and still no word. I spent about $200, so I expected the service to be better. I hope I get it soon, but I doubt it. I will never order from rock my world again..
@k.a.c: Someone from our customer support team will be in touch with an update on your order. If I purchased the Single fingerprint on heart and wanted to change it to the double fingerprint heart am I able to do that ? @Tom : Our Customer Support Team will be contacting you directly to help you with your request. @Connie: What a lucky daughter! She'll treasure your gift. Thank you for all your suggestions. 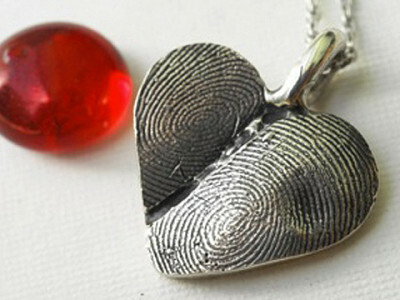 For kids' little fingerprints, these are 2 of the best choices: Have 2 "Heart: Child fingerprint" pieces of each child OR 1 "Heart: Double Fingerprints" pendant, with both prints side by side. The first names will be engraved at the back. Aesthetically (& practically), it's too crowded to have names on the same side as the print. I sent in an order for a double finger print heart and it has been 30 days and I have yet to receive it. Just curious on the status of my order. @ Matt: Thanks for checking in. Our Customer Support Team will get back to you directly. I was not happy with the service I got from here. I would think twice about buying something! It took five months plus she wanted an additional fee on top of $200. @ Bulldog10: Your order definitely got caught up in an out of the ordinary set of circumstances. We wish it had gone smoother for you and truly hope that in the end the pendant is something that you will cherish forever. @ BatGirl: Great! Our Customer Support Team will be in touch. @ Gregory Bader: It's a gift that will WOW your girlfriend (lucky her). You're now able to go directly to our Partner's website to order. Just click "Visit Now" button on the featured Grommet webpage. @ Jen: We're very sorry about your dad. We'll check with the Rock My World Team and let you know tomorrow. I was wondering the same question. Can you make multiple pieces from the same mold? @Jen & @ Mary: The same mold can be used to make multiple pieces. At Checkout, please let the Rock My World Team know about this in the Gift Message box. I'm not 100% satisfied with my Double Fingerprint on Single Heart's results. Is there any way I could return it and have one of the fingerprints redone? @Madi Eiler: We're sorry about this. Our Customer Support Team will be contacting you directly to address your concern. I love the idea aobut the nose print .... but would it be possible cat paws work too ? I would love my dog paw print aswell. I have 2 cats and a dog - everything envolves around them.. so I would totally love to have it done . @ anna - spain: It appears that pet noses look best as pendants. We hope you'll consider them. Lucky pets to have you "in love" with them. I have a 15 year old pug...I really want his nose print. Please describe the process so I can get started. @ Donna Rhodes: Once you place the order, a simple mold making kit and self addressed stamped return envelope will be sent to you. Allow 6 - 8 weeks after returning the impression molds to receive your final sterling silver piece. You can read more info in the DETAILS tab (under video & photos). Thank you for your interest. I just found this article on Jackie and would like to share my story. My parents passed away 36 hours apart in Oct of 2009 . I recalled seeing Jackie's work and contacted her to requested molds to be sent to the Funeral Home to get my parents prints before their cremation. Jackie kindly overnighted everything that was needed. I ordered one for all of my siblings, nieces and nephew and in a few weeks time, 20 beautiful split hearts arrived with the engraving of " You Touch my Heart" along with their passing dates on back. I also received all the rubber molds of all their prints. There are no words that can describe how each of us are attached to these lovely works of art. When I miss them, I just run my fingers on their heart, which happens more times a day than I can count. I'm thankful that we had the opportunity to get their prints, but beseech others to do it now while they have their loved ones with them. Can you engrave the child's name in script across the fingerprint? I have two kids that I'd like to do this with for their mother, but it would be nice to have their names engraved on the respective prints. Have you ever made these out of anything other that silver? Our dog is nearing the end of her life and we thought that your technique would be an awesome way to memorialize her in a Christmas ornament. My husband is worried silver is too heavy and I was thinking it was a lot of money for a Christmas tree ornament! @ Kathleen I am sorry but, no, they are only made of silver. Many people buy these for when when their dog is near the end of life. Good luck deciding. I am thinking about doing the heart finger prints. Very cool gift, definitely with our two kids. Thinking one for mom and one for grandma. I think the dog nose is eerily disturbing looking though. Very creepy. @ Nick the dog nose one is one of the top sellers! I like your idea better! Smudged across the refrigerator, TV and every window in the house, tiny fingerprints are a housekeeping hassle. But preserved on a beautifully handcrafted silver necklace? Priceless. Artist Jackie Kaufman uses wax casts to create one-of-kind fingerprint pendants. Jackie supplies a mold-making kit so you can capture an impression of a little one’s fingerprints (big people prints work, too). Once you’ve got the print, you send the kit back to Jackie and she casts a sterling silver charm from a custom wax mold. You can choose a single fingerprint design or a double if you want to pair siblings’ prints or create a parent-child combo.